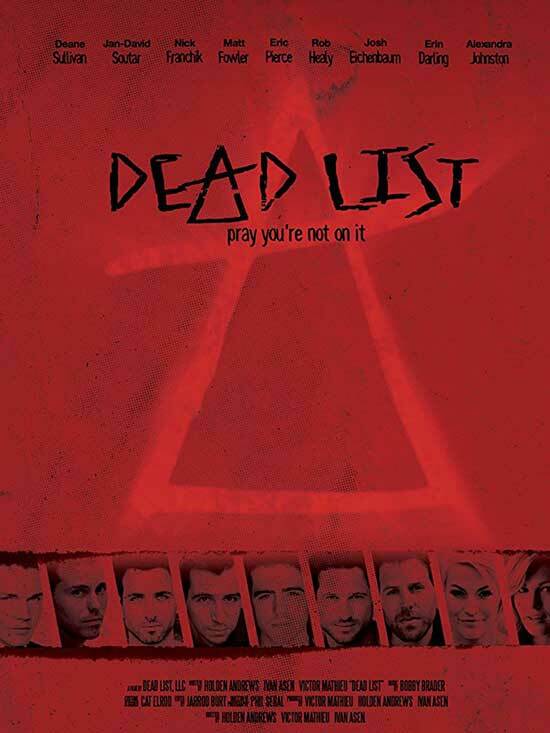 So, “Dead List”, tell me about how it started and how the idea manifested? I did get to see part of it! From what I saw it is really good. Holden- We are specifically stoked to hear that you feel that way. The three of you wrote and directed “Dead List,” so tell us about the process and how this idea manifested for the three of you? Holden- We obviously made it to entertain people. Victor, Ivan and myself. Ivan and I had worked on projects before as writing partners. We were inspired by anthology horror films. We thought that was a really creative way to tell a story. Ultimately we said, let’s make something that’s got a fresh take on it, let’s take the anthology style but instead of having separate chapters that will make a full length feature film. Let’s find a way to take chapters and have them interweave into the overall narrative. Once we got to that point, we were like should have another partner. Our good friend Victor who comes from Horror had just directed “The Monster Project” and we thought it would be great to have Victor come onboard. We are all big fans of horror and we are inspired by anthology horror films and what we wanted to do is take a fresh twist on that. You know what I noticed and what I love is that all three of you have worked in nearly every position from writing to producing. Did the three of you kind of put your own take and twist on this film because it is a fun film and the stories are good. Holden- Absolutely, we decided that the main narrative of the story would be set one way but we could really take a lot of freedom with each of the stories. It is really cool to hear you say that because each one of us as a creator came out with their own unique vision. Victor- To add to that also what I think was also really interesting about our approach to making the film was that the main story was co-directed by us but then in terms of the chapters this is where the individual directing styles are approached. Holden directed two of the stand-alone segments and I directed two of the stand-alone segments and Ivan directed one of them but then so the main story was co-directed. It was pleasant to see how successful the collaboration was. We all got along so well. Did all three of you appear in the film? I know I heard you Victor! Victor- My voice is in the film. I did quite a lot of ADR for multiple characters. But I did not appear physically in the film. Ivan- My leg appears. I am the one that gets bitten by the sea monster. Okay, a leg appearance with the sea monster! And Victor you did an amazing job with the officer’s voice. Oh my god. I need to watch it again! I knew that was YOU! 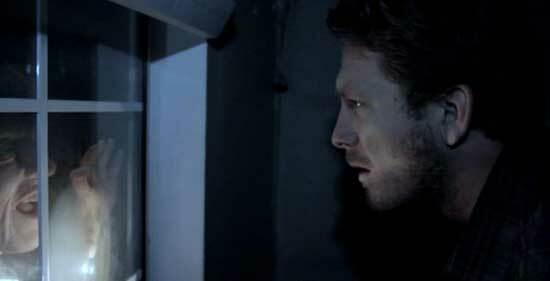 Holden- When you watch it again tonight since you’ve spoken to us now. Try and listen for Victor’s voice because it’s in there quite a few times in other ADR moments which is pretty funny and in the chapter that he directed. It is kind of a pretty fun note. We did a stunt and he dressed up like the witch for the stunt. When she gets hit by the car that is actually Victor. Ivan- Victor is like 6’4 so it’s a really is a good scene to see. Oh my God! Why did you do that? I feel bad now. Victor- I had to jump over the car onto concrete which is always fun, I always like hurting myself. We did the stunts safe. I come from a background of stunts and that is why I also love horror because we usually incorporate stunts so it’s always safe when we do it. It is not the safest thing to do unless you have the experience. Okay, so basically the three of you did everything in this film. What types of challenges did you face? 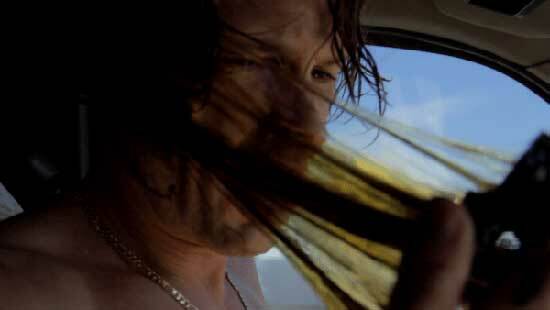 Holden- We were very fortunate with this film. We had an amazing crew and our cast was outstanding. We were blessed. We did a good job picking the cast. The biggest challenge was making sure that everything came out to the level that we wanted it to come out. Victor- We were also shooting on weekends mind you right because Holden had a full-time job while Ivan and I were doing more freelance. I guess that was kind of a challenge on its own. Beyond that on my end I think the challenge was not so much filming but post-production because post-production is a whole different process and as you could tell watching the film we have five different monsters in the film. Okay, I grew up watching horror movies and it seems sort of challenging to have just one monster and you guys have a lot going on in this movie. Do you think there will be a sequel and did each of you grow up watching horror movies? I know, it is a lot of questions. But I have so many questions. Holden- I know that all of us are huge horror fans and like you’re saying it is definitely tough to just pick one monster and go with it. We did have that challenge of we are going to have five different monsters but once we got over kind of that hesitation of how are we going to do this right? We were really able to get creative with it. We wanted to have a little nostalgia for films that inspired us. I am a big fan of “The Blob,” “It” is a huge movie for me and “Poltergeist.” You’ll see kind of little homages from each one of us that have touched us and we tried to hint at and give a wink to the audience. It really became a blessing. It allowed us to open up the flood gates. Victor- For me, it wasn’t until I was about 18 or 19 years old that I kind of fell in love with horror through “Evil Dead 2” and I fell in love with that and quite a few other films. You will see quite a few “Evil Dead” references, particularly the flying, laughing book. 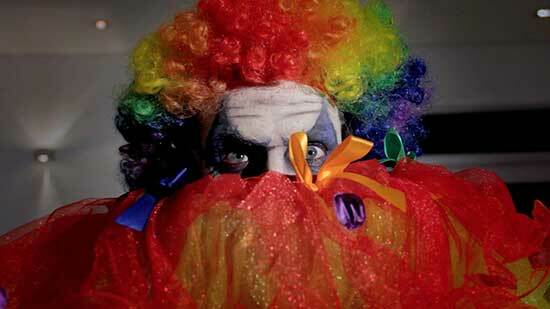 I’ve always loved clowns and I wanted to do a short segment with the clown. Ivan- I’ve always loved horror. Also I am also a big fan of meta-horror like “Scream” with the referencing. For example like some of the jokes in the film. People referencing pop culture. Victor- Real quick to add to that. 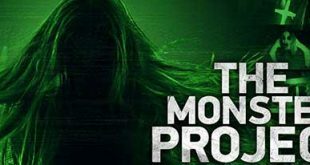 Mind you, I am not sure if you saw “The Monster Project” but that was a feature that I did. You will see that I am a big monster fan and growing up loving “Goosebumps.” That is a reoccurring pattern in my features so far is featuring different types of monsters. Ivan- I used to watch “Goosebumps” too. Victor- I hope you watch it. I’d love to hear what you think. How did your process work with the cast? A-ha! So there could be a sequel? And all three of you would stay involved. All three of them- Yes! Now, what are you working on next? 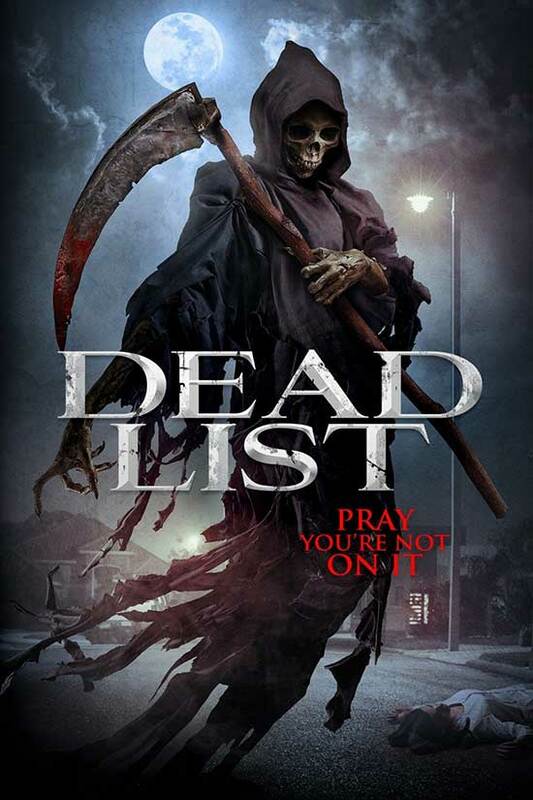 Holden- I am focusing on PR and press for “Dead List” and I have a few scripts in development. Victor- I am working on a TV show called “First List” that is currently filming. I am in development on a couple of horror features. I am very excited. Ivan- I just wrote a new script called “Teenage Karma”, it is like a “Clueless” and “Mean Girls” type of movie. I might go into production for a micro-budget feature. Of course, please tell us about it! 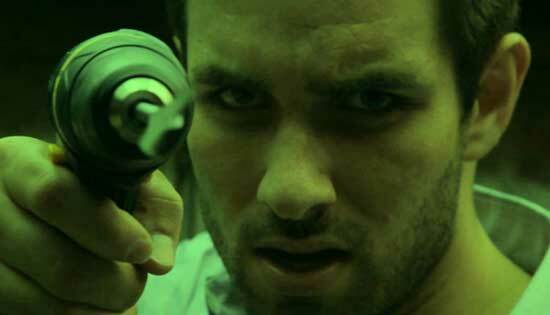 Holden- before Ivan, Victor and I partnered together on “Dead List”, Ivan and I wrote a really fun horror film. Victor is kind of attached to it now to potentially direct. It will be a really fun film. So that is in the wheelhouse. It is horrifying and hilarious. It is about a group of college kids that go on a road trip to Vegas and they stop at a brothel. Holden- Yes, a legal brothel and it is not what it seems. It is a horror/comedy thriller. See, now that sounds interesting to me. I think sometimes being a horror fan it is difficult but horror movies feel like an escape and you can have fun watching these movies. Holden- Yes they really are. You get an opportunity to tell a story. I cannot see making this film in any other genre than horror. Victor- I will tell you a little secret as to why I love horror so much and particularly supernatural horror. I’ve always been since I was a kid actually terrified of the idea of death and supernatural horror basically shows if demons exist, if ghost exist, if supernatural entities exist that means there is an afterlife after all and so you always find a comfort in horror movies. It reassured me in a way. That has always been my draw. It has been more of a comfort to me. Not to ramble on but I had sort of a crazy life and my mom is a free spirit and an artist and then I had to go to Catholic school for a while and I thought I was going to hell for everything. My mom said to me though those movies are art. They kind of take you away from the real horrors of your life. And I also feel comfort in watching horror films and now this is like a therapy session. Victor- I used to fall asleep to “Evil Dead 2” every night I think for two years and I thought there was a problem with me until I realized there was a reason. 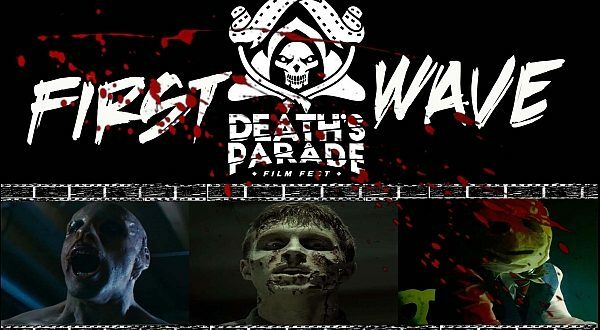 Victor- If you want to see witches, sea monsters, clowns, ghosts and all kinds of monsters in one feature then “Dead List” is the one to watch. It is a really fun film and enjoy it. 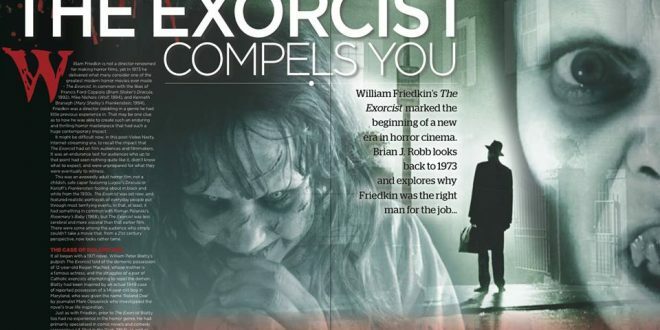 If you are a horror fan watch it because you will enjoy it. Ivan- I would say if a book falls on your car from the sky, don’t open it up. I am LEGIT sitting in my car right now Ivan and now I am looking up to the sky! 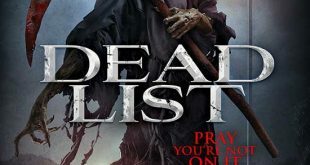 Holden- If you like monsters and you are a fan of horror, “Dead List” is a film you will enjoy. 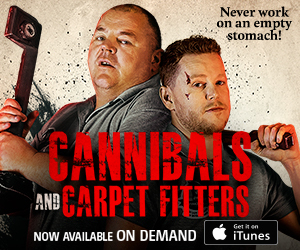 It was made by true horror fans for horror fans. You will not be disappointed. Well, I am so excited and you guys are so awesome and so much fun to talk to. I thank you so much and “Dead List” rocks! Holden, Victor and Ivan – Thank you!